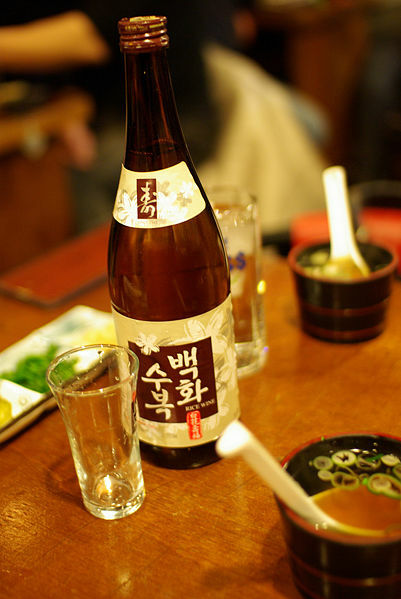 Rice wine is an alcoholic beverage made from rice. Unlike true wine, which is made by fermentation of naturally sweet grapes and other fruit, "rice wine" is made from the fermentation of rice starch converted to sugars. This process is akin to that used to produce beer. However, beer production employs a mashing process to convert starch to sugars, whereas rice wine uses the different amylolytic process. 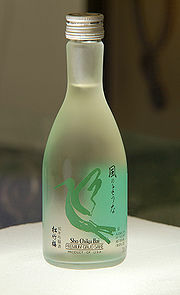 Sake is often referred to in English-speaking countries as "rice wine"; however, this usage is a misnomer. Sake is produced by means of a brewing process similar to that which is used for beer. Thus, sake is rice beer rather than rice wine. Alcoholic beverages distilled from rice were exclusive to East and Southeast Asian countries, with knowledge of the distillation process reaching India and parts of South Asia later through trade. Rice brew typically has a higher alcohol content (18–25%) than wine (10–20%), which in turn has a higher alcohol content than beer (3–8%).